The Chrysler 200 has been fully redesigned for 2015 and everything about it is right. 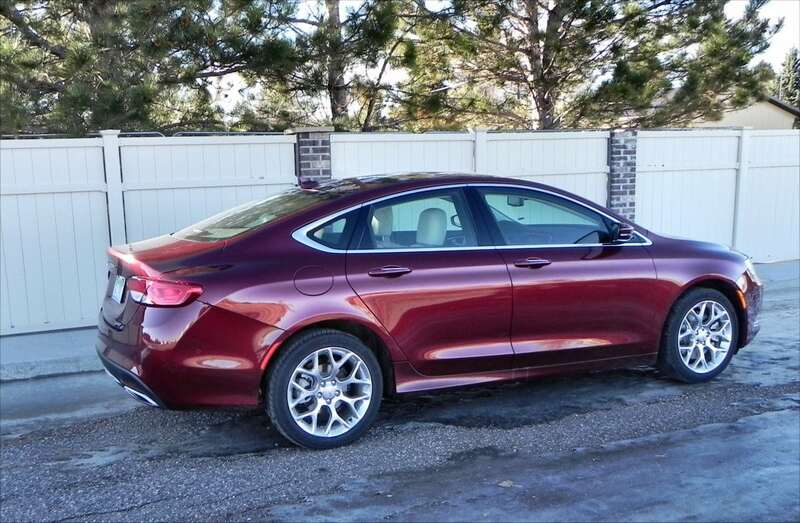 In a world where the midsize sedan market is hotter than a summer beach in Florida, the 2015 200 is the little red bikini everyone’s staring at. 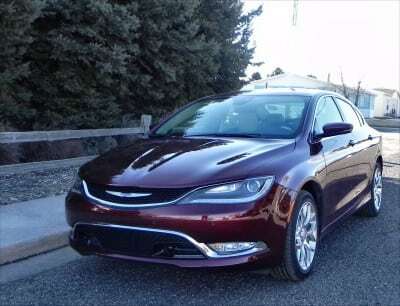 For this redesign, Chrysler hit all the right buttons. 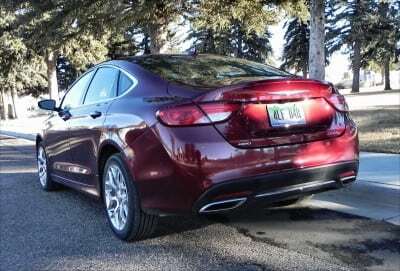 We first saw the 2015 Chrysler 200 at a launch event hosted by the automaker near Denver, Colorado. That event gave us a glimpse into the hard work that was put into making the new 200 the best it can be. After a couple of stints in the 200S model and a week in the 200C model, we’ve seen what the new benchmark for midsize sedans is, and it’s gloriously high. 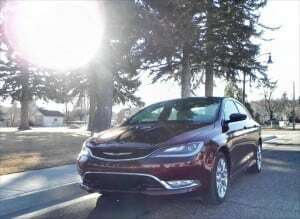 The new Chrysler 200 only misses in two respects, one of which may be significant for some buyers, but neither of which is likely to push it out of the running for most looking in the midsize sedan market. One of those is the relatively sluggish Tigershark engine when freeway speeds exceed the EPA’s testing and get into the 70s and 80s. 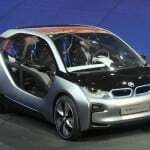 The other, more important factor, is the somewhat smaller cabin compared to some rivals given the sportier build of the 200’s new design, which narrows the roof a bit and thus impinges on rear seat headroom laterally. This latter point, which may be important to some, is an issue only if the rear seat passengers are over six feet in height. Outside of those two items, though, everything about the 2015 Chrysler 200 is design excellence. The Sport model (designated as 200S) and the more Comfortable 200C are aimed at specific buyers and hit those markets well. The smaller Tigershark engine is a good around town and 65-and-under freeway driver returning respectable fuel efficiency while the larger Pentastar six gives confidence at higher speeds and the option of all-wheel drive for those who may want it. Four trim options are available, starting with the base level KX, the midpoint Limited and the forked branch S or C trims. The S is the sportier option while the C is the more luxurious. Several option packages build on all four trims. The 2015 200 is a sleek coupe-like sedan with a sophisticated look. Accent and character lines are used well on the 200, drawing the eyes into a flow along the car. Details show premium-level attention and sleek color options fill the palate. 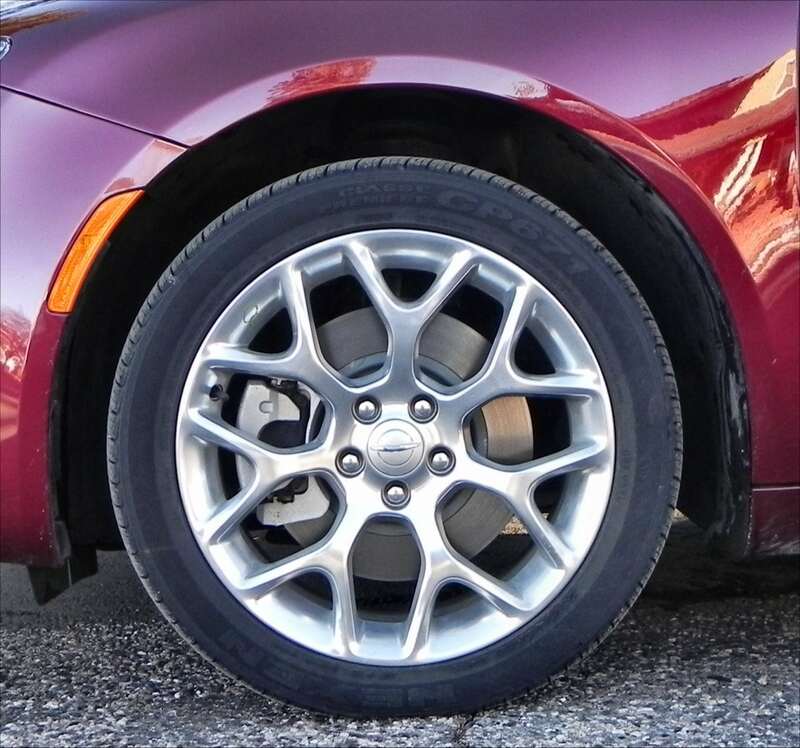 For those who want it, chrome and other trim accents can add bling to the 200’s look. Trim levels also change wheel options and sizes. All of which look good on this well-shaped car. The interior of the 2015 Chrysler 200 is premium-level on almost every point. Seating, even at the lower trims, is very well done and the sport seats with their added bolsters are a great addition to the S model. The C model features plush seating with ventilated leather. The interior designer who created the center console and stack deserves a medal for the smart use of space and the thoughtful addition of a cord pass through for gadgets at the fore end. The sliding, adjusting drink tray and big storage space beneath and behind are also high marks. 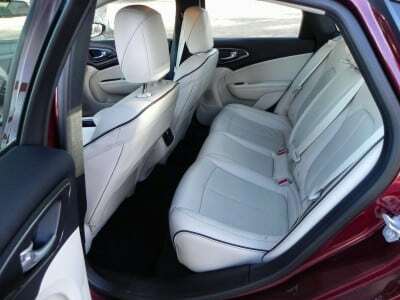 The rear seats are large enough for adults to occupy, though a tall driver and tall rear passenger may result in knees in the back of a seat. For most people, however, the interior of the Chrysler 200 is roomy and comfy. The base engine for the 2015 200 is a TigerShark inline four-cylinder producing an ample 184 horsepower and 173 pound-feet of torque. 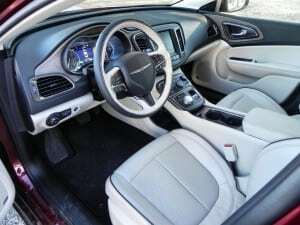 This connects to a nine-speed automatic transmission in front-wheel drive that provides smooth shifting and an EPA estimated 28 mpg. 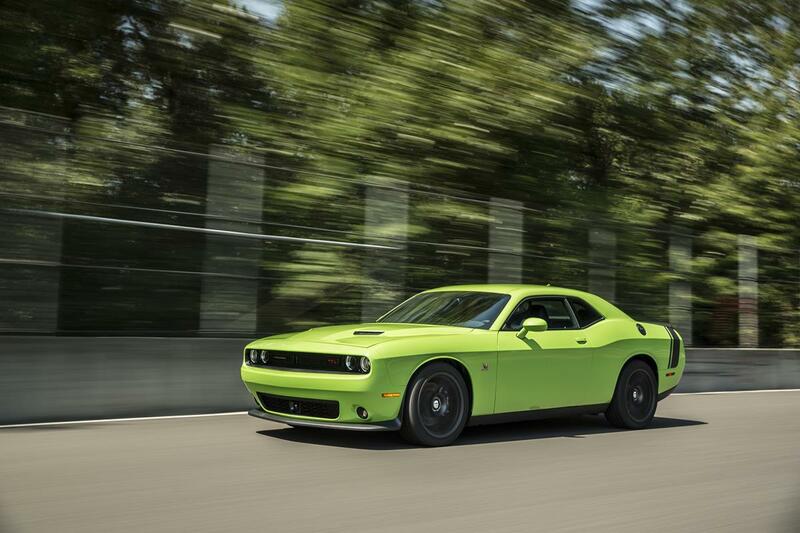 The S and C trims offer a V6 Pentastar that outputs 295 hp and 262 lb-ft through a nine-speed auto. Both front-wheel and all-wheel drive are available. 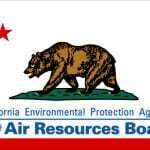 These return EPA numbers of 23 and 22 mpg combined, respectively. 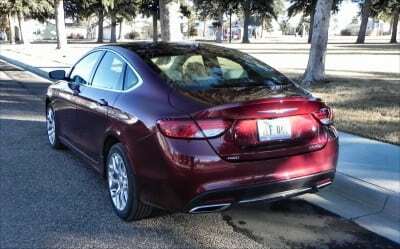 Our short time in the 200S with the i4 engine showed it to be a fun little drive with enough pep to get around town and do normal freeway stints without disappointment. 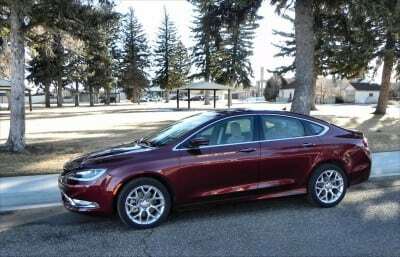 Some may find the smaller engine to be sluggish, though, but no one will complain about the ride quality or the interior comfort. 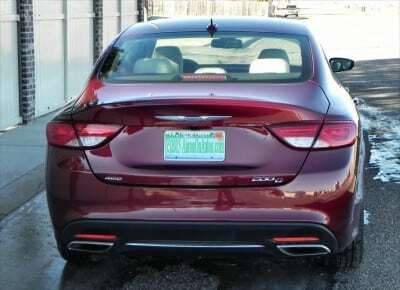 A neighbor who recently bought a 200S with the V6 let us take it for a quick spin and the engine performs admirably. The interior is sport-themed, but lush. Our press review model was a 200C with the Pentastar six. With all of the options included, this 200 became competitive with some entry-level luxury cars. 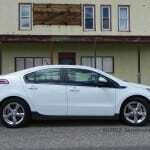 Daily use is exquisite in this model and highway comfort is excellent. One notable item bears reporting. The lane keeping feature actively keep the car in its lane, a great safety boon. When the pavement is wet during night driving, however, the cameras can become confused, causing irregular resistance in the steering. That is remedied by turning off the lane keeping with a button press. Given the newness of this technology, though, it is not a serious deficit. Outside of that, the 200C is a lovely highway cruiser and a solid family sedan and daily driver. 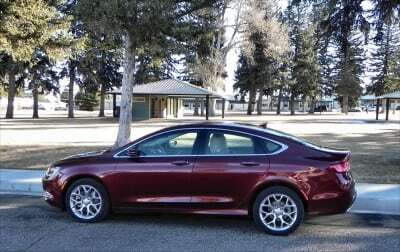 The competition in the midsize sedan segment is hot. Several great choices include the Ford Fusion, which has an edgier style, the Mazda6 with its sinuous appeal, and the Honda Accord with its contemporary aplomb. All three of these have a sportier drive experience than the 200 offers, especially the Mazda. The top seller in the midsize segment, of course, is the Toyota Camry, which was redesigned for this year and is looking good. The Nissan Altima rounds out the lineup of contenders with a solid all-around offering. It’s very hard to go wrong in the midsize segment today. “Something for everyone” is not a cliche here. Beautiful design both inside and out. Great fuel economy, even with AWD. Four-cylinder somewhat weak at highway speeds. Back seat short on head, knee room for tall passengers. The 2015 Chrysler 200 is a beautiful vehicle with everything in place and just right for the segment. It has stand out, premium-level styling, a great interior, and more than enough space and versatility for those looking in the midsize market. It’s an excellent choice that deserves attention. The 200 was introduced at a Chrysler-sponsored press event in which dinner and drinks were provided as well as overnight accommodations and transportation. 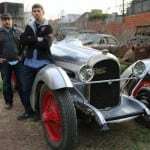 It was then given as a press loan for about a week, during which time we put about 500 miles on the car, mostly in highway and freeway driving. EVO Track Car of the Year 2014 Will Make You Weep!